Have you always dreamed of making your own chouquettes, puff pastries, religieuses or your own Saint Honoré? These delicious French pastries are classics based on the same recipe: puff pastry. A religieuse is a French pastry made of two puff pastries, one larger than the other, filled with pastry cream. Each pastry is covered in a ganache of the same flavor as the filling, and then the smaller one is placed on the top of the larger one and decorated with piped butter cream frosting. Making a puff pastry is not very complicated. You just need to be careful during the drying stage of the puff pastry. 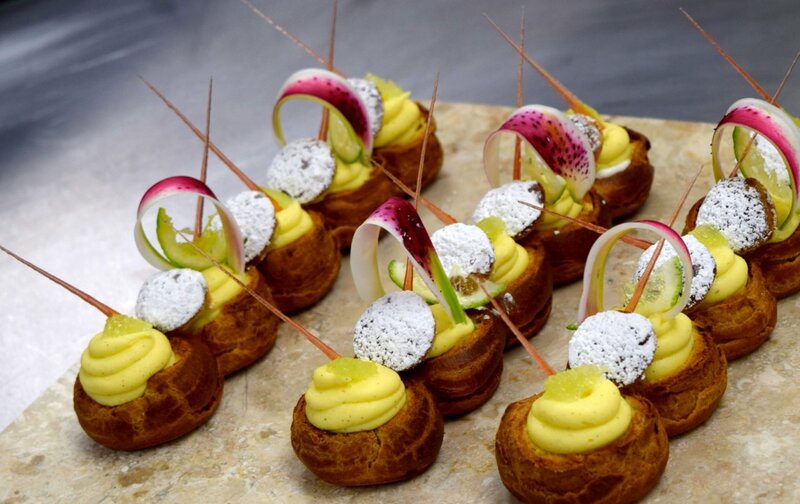 In the recipe that follows I will reveal my recipe and my tricks to achieve magnificent puff pastries or éclairs. You will have more than enough to garnish them as you wish and then enjoy them.